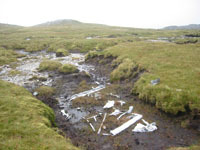 This site lies at an altitude of about 650m on a secretive flat moorland plateau 3km north of the summits of Conival and Ben More Assynt. 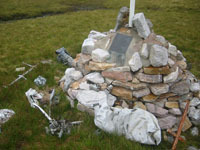 The 6 airmen who died in this crash are buried at the wreck site, making this only one of two in Scotland which are war graves (the other one is in the Lammermuir Hills just south of Edinburgh, see my page about this site here) and this is almost certainly the highest gravesite in the British Isles. 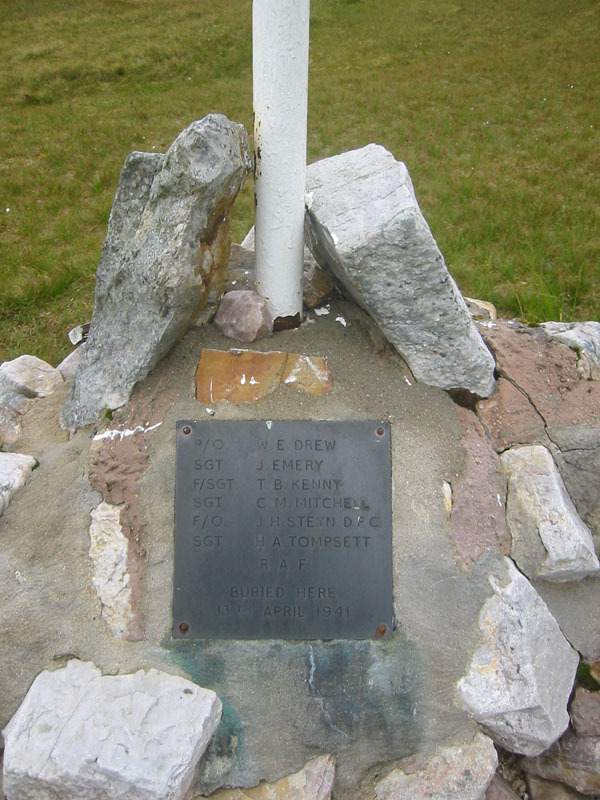 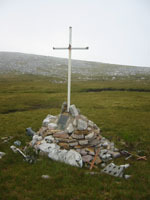 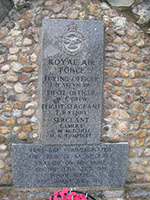 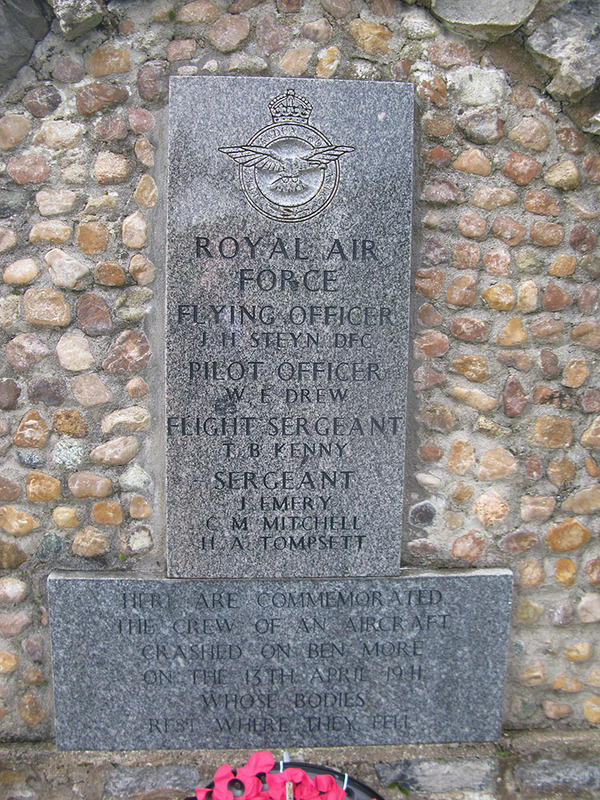 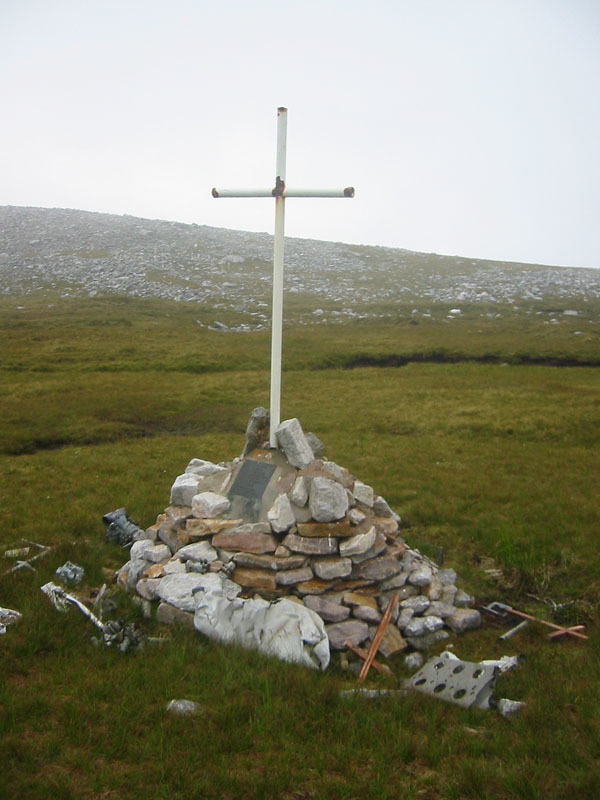 The site is marked by a cairn, a memorial plaque containing the names of the airmen, and a large white metal cross. 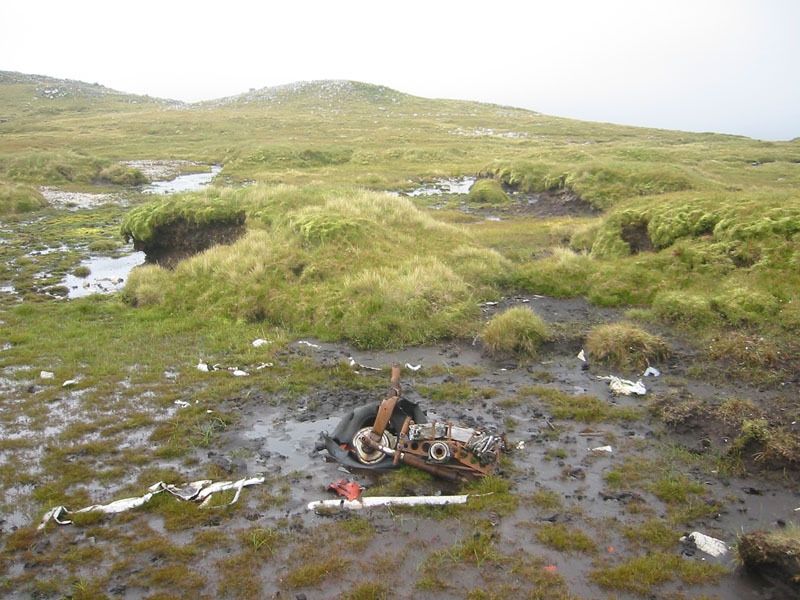 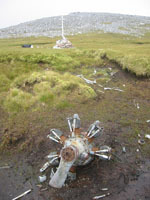 The two engines (both with remains of propellers), landing gear (with tyres) and various assorted bits of wreckage are scattered near the memorial cairn in hollows between peat hags. 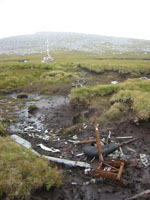 The PDAAR website has some pictures of the site here. 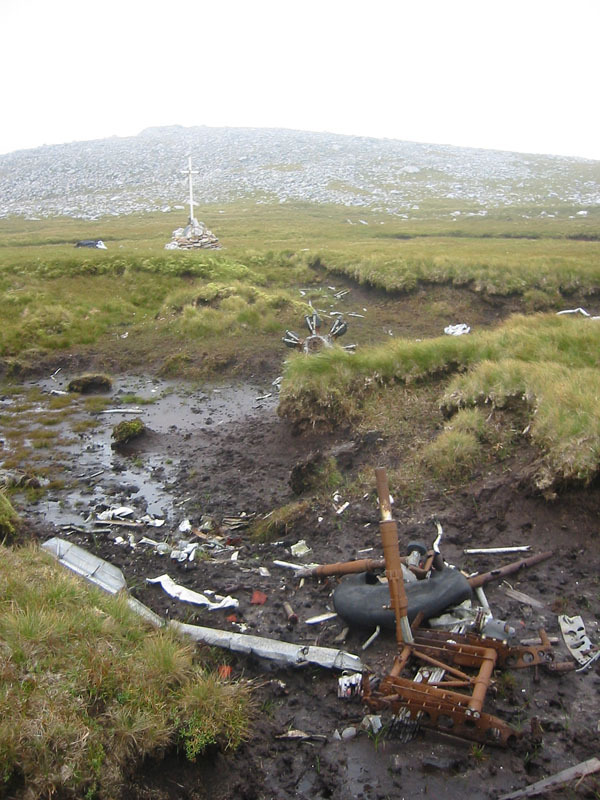 The TFDACSS website has some pictures of the site here. 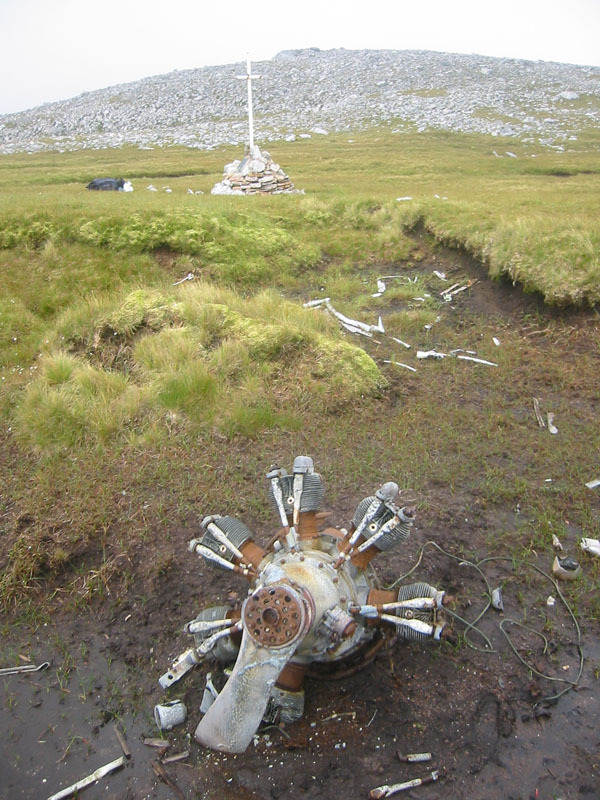 The WW2ACSS website has some pictures of the site and information about the crash here. 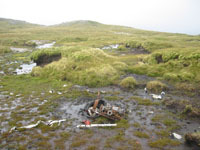 The WYACU website has some pictures of the site and information about the crash here. 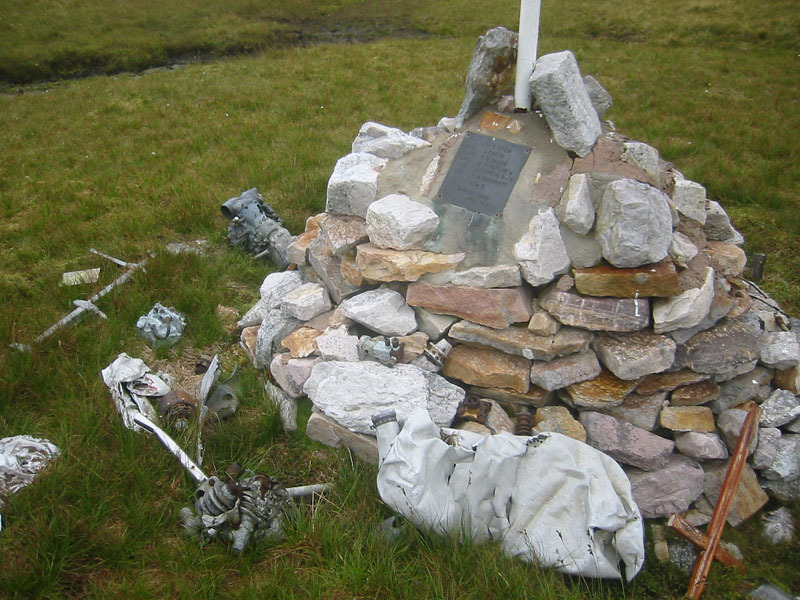 At the old parish church of Assynt in the hamlet of Inchnadamph, about 4km to the west of the crash site, there is a memorial to the victims of the crash (1st and 2nd photos from Sep 2012 below). 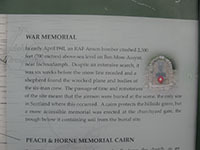 There is also some information about the crash on an information panel near the memorial (3rd photo from Sep 2012 below). 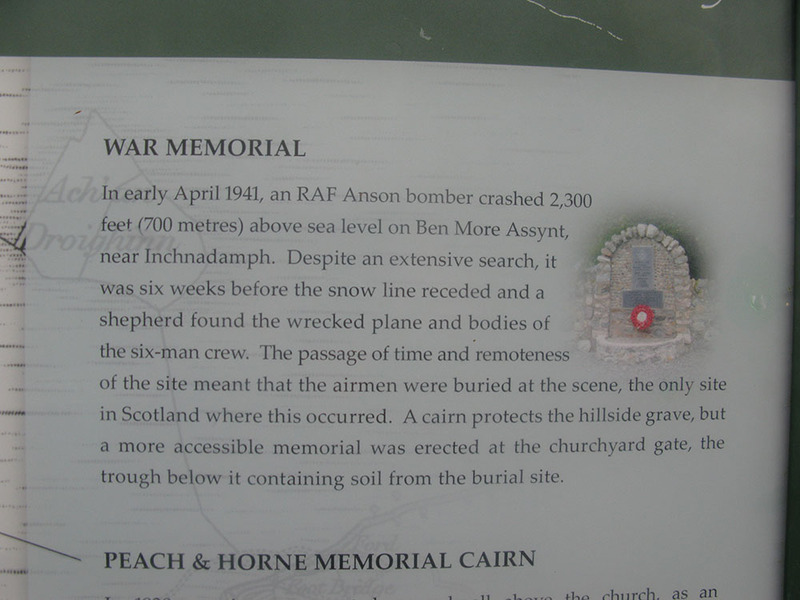 This panel states that "the airmen were buried at the scene, the only site in Scotland where this occurred", however this is not quite true, as there is another site where this happened, as mentioned above. 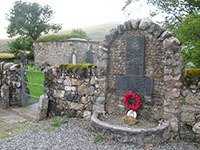 Articles about the site can be seen on the BBC news website here and here. 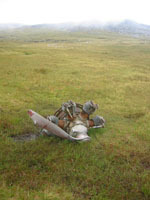 These pictures were taken in August 2008. These pictures were taken in September 2012.